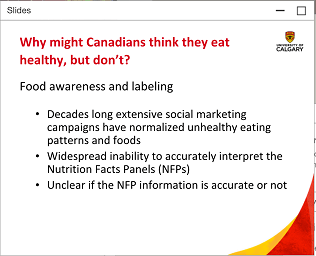 If you are concerned about your health, what is a healthy diet or wondering if diets are healthy you should watch this webinar. 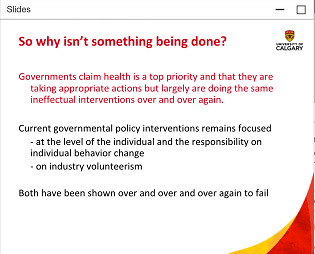 Just in case, the webinar isn’t available I’ve attached my notes and screen shots from the video. 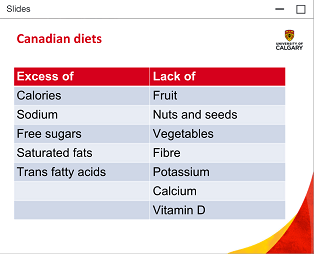 Canadians are deluding ourselves about believing we eat a healthy diet. some diets will only help you look better in the coffin sooner. Makes no sense to eat real food then add condiments high in salt, sugar and bad fats. 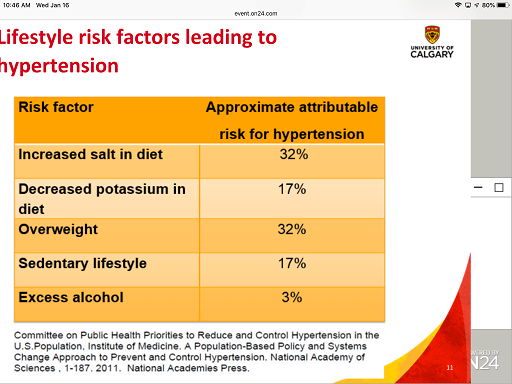 Too much sodium and being overweight are leading risk factors leading to hypertension. 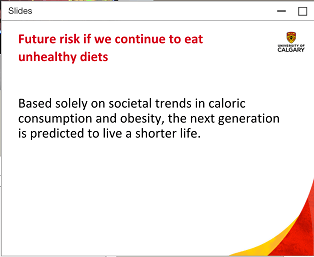 No fad diet will resolve our health issues. 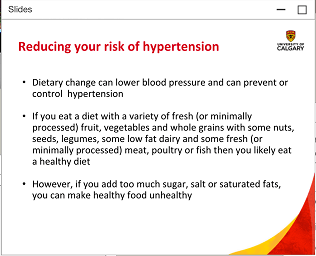 The keto diet is high in saturated fats which contributes to hypertension. 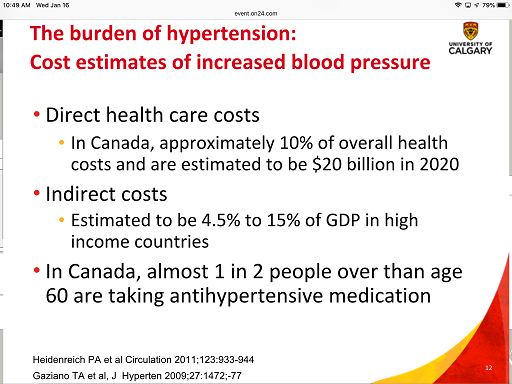 The financial costs of hypertension are high. 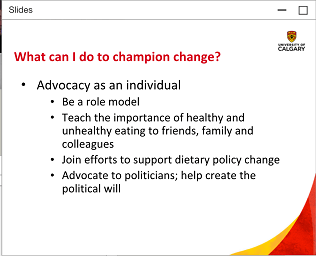 We say it all the time making small changes makes a big difference. Here’s another reason why. 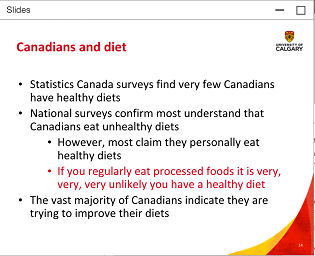 The majority of Canadians believe we have healthy diets. The science does not back this up. 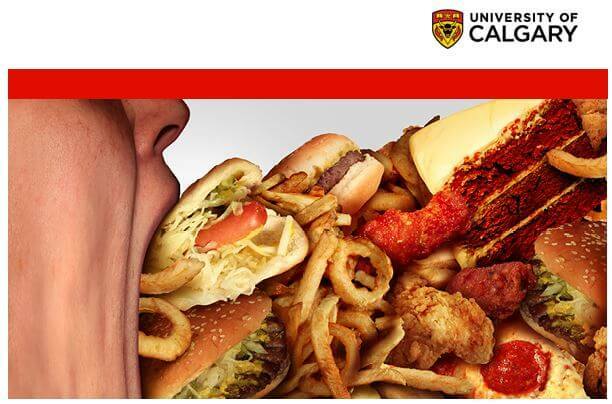 If you regularly eat processed foods its is very, very, very unlikely you have a healthy diet. What is the problems with our diets? What is one small thing I can do? 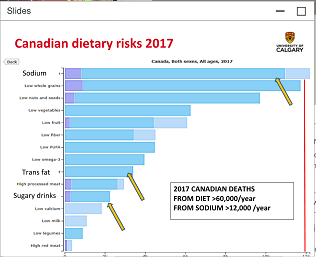 The chart shows Sodium, Trans fat and sugary drinks are contributing to our risks. Shop the supermarket perimeter. 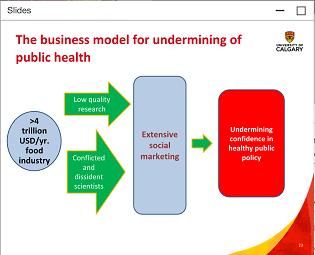 Processed foods are in the center. Marketing campaigns have been “selling” us for decades. 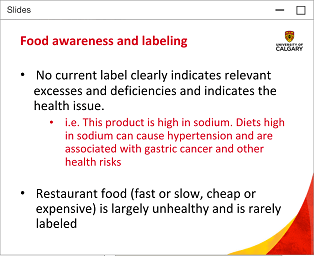 Labels should be clear, like the text in red on the slide. Why is %70 of the data weak? Its from the food industry or scientists funded by the food industry. 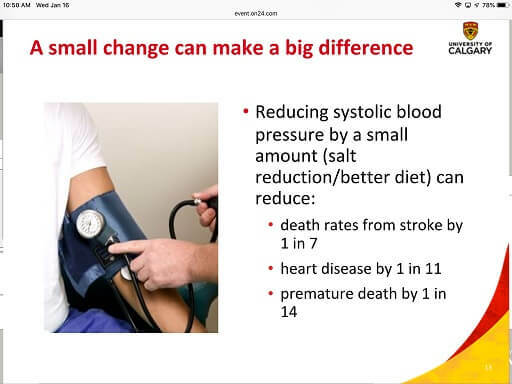 Does making small changes work? Absolutely, within 2 weeks. The challenge is to stay motivated. Our children will have shorter lifespans. Della and I are convinced we are on the right path to better health. We are not perfect and sometimes fall back. That’s learning. This issue is why we bring healthy eating up as much as we do. 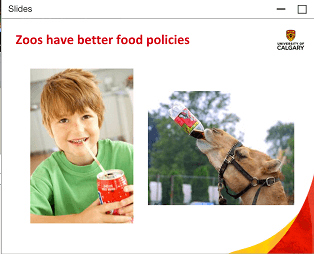 There would be pushback about a viral photo of a camel drinking soft drinks yet none if our most precious resource does. What’s the problem with eating after 6 PM?